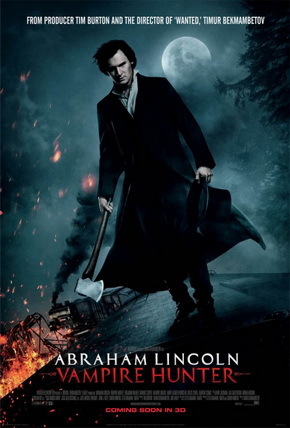 This week I’m excited about today’s release of Abraham Lincoln Vampire Hunter. I mean, what more can you ask for?! What are you going to watch this week? This entry was posted in Friday Film and tagged 2012 release, Abraham Lincoln Vampire Hunter, EM Castellan, Friday Film, horror, movie, Tim Burton, vampire. Yep yep this is great. I`ve finished reading the book last week and it was fantastic!